Giant crabs, killer bees, and pirates threaten Union soldiers and castaway beauties in Cy Endfield’s 1961 follow-up to 20,000 Leagues Under the Sea. Yep, it’s definitely the lesser known of the two films, which has made it a certified cult classic. Riverviews (901 Jefferson St.) screens the film tonight in a program that begins with insights, guidance, and a little cinematic context from Ken Faraoni. It starts at 7 p.m. in the Rosel Schewel Theater, located on the first floor of the building. Tickets are $6 at the door; call (434) 847-7277 or click here. The National Poetry Month celebration at Riverviews (901 Jefferson St.) continues this evening with a poetry slam for kids. As part of the Beat Burg program, Riverviews is hosting a friendly competition featuring kids from Dunbar Middle and R.S. Payne Elementary schools from 7-8:30 p.m. Light refreshments will be available and, after the poetry is presented, a premier poet will be crowned (metaphorically, that is). This event is free and open to the public. For info on how to submit poetry to the contest, call Riverviews (434) 847-7277, or email the gallery at info@rivervews.net. On 4/20, one of the happier days of the year, we're doubly happy to announce that we'll be holding the first of what we hope will be many LynchburgDoes Presents events. In this case, it will be a night of music, featuring an acoustic set or three by the True South rock band A New Low. It all happens downtown at Dish (1120 Main St.), where the drinks are good, the small plates are great, and staff are super nice. The music starts after 8 p.m., but don't let that stop you from dropping in earlier for some food and conversation. There will be free LynchburgDoes stickers, as well as a limited number of handcrafted CDs featuring three new studio tracks by A New Low. Full disclosure: two members of A New Low – guitarists Matt Ashare and Jason Oliveira – are part of the LynchburgDoes crew. Singer Vic Sizemore is a friend of the site, and an all-around good guy. So, please come out on and enjoy a low-key Thursday evening, and say hello. We're hoping to have a few special guests, but it'll be special one way or another. Click here to see Dish's menu, and call Dish at (434) 528-0070 to make a dinner reservation. Before Hamilton took over Broadway. Before Rent became more than something you had to pay at the beginning of the month. Before Tommy and Quadrophenia and The Wall raised the proverbial bar on conceptual pretension, but a couple of years after Hair made its mark on our culture, there was a big little show called Jesus Christ Superstar. It wasn’t Andrew Lloyd “I wrote the music for Evita, Cats, and Phantom of the Opera” Webber’s first big rocked-up musical, but it certainly put him and lyricist Tim Rice on the map back in 1971. It features such upbeat hits as, “This Jesus Must Die,” “Damned for All Time,” and “Gethsemane (I Only Want to Say),” and the local folks at Renaissance Theatre (1022 Commerce St.) are staging it tonight, tomorrow, April 28 and 29, and May 4, 5, and 6 at 8 pm. There’s also a 3 p.m. matinee this Sunday. Tickets are $15 and $18; call (434) 845-4427 or click here for more info. Tickets can be purchased online from etix. Erin Vasta is a Randolph College graduate who’s back in Lynchburg after earning a master’s in creative entrepreneurship from the University of East Anglia. We didn’t even know that creative entrepreneurship was an academic discipline, but we’re always happy to learn new stuff. As part of her master’s program, Vasta created four films that combine dance, poetry, and, of course, filmmaking. She’s screening the films tonight from 7-9 p.m. in the Rosel Schewel Theater at Riverviews Artspace (901 Jefferson St.). She’ll also talk about her process. The screening is free, but you’ll need cash for the bar. Call (434) 847-7277 or click here for more info. . So, here's the cold, hard truth: opera costs money. Well-staged opera of the sort that Opera on the James provides costs a lot of money. There are professional performers, directors, conductors, costumes, stage sets, and more that simply have to be paid for if things are to be done properly. The good news is that raising money can be fun, colorful, and it feels good to do the right thing. Opera on the James will prove that point this evening with a gala cabaret in the theme of Madama Butterfly's Garden. There will be music, food, auctions, and other surprises. It all happens the Academy Center of the Arts (519 Commerce St.) from 6-10 p.m. Tickets are $125; call (434) 528-3397, or click here for more info. If you've ever celebrated Holi, the Hindu festival of colors, then you know how awesome it is to run around lobbing brightly hued powders at your fellow humans. If you're not familiar with this colorful tradition, you may want to check in on the 5k event that begins at 9 a.m. today at the Salem Civic Center (1001 Roanoke Blvd.). It’s a run – five kilometers to be exact – but it’s not really a race. There will be giant inflatable unicorns, a “dream wall,” and, yes, a “foam zone.” Tickets are $49.99 per person, but the price is reduced to $44.99 if you register as part of a team of four or more. Click here for tickets and more info. So, what is an alpaca? We knew it was something like a sheep crossed with a llama, and we were kinda right. Technically, the alpaca is a species of camelid from South America, which means they're part of the dromedary family. The folks at A Goode View Farm (1473 Heathwood Dr.) in Bedford County raise alpacas, and they open up the place to visitors most Thursdays-Sundays, from 10 a.m.-dusk. But today, they've got something bigger in the works – the Olde Liberty Fibre Faire. It's a celebration of fiber arts, featuring the goods and wares of local artists and artisans, as well as alpaca petting, food vendors, classes, and demonstrations. The event runs from 9 a.m.-4 p.m., and admission is $5 per person (children under 12 get in free). Call (540) 586-4732 or click here for more info. The fifth annual Lynchstock Music Festival is fully booked and ready to commence a big day of music by local acts and at least one big-name headliner from out of town — the LA foursome Dawes. For a complete line-up of the over three dozen acts that are booked to play, click here. This year's fest will be held downtown in Riverfront Park (1000 Jefferson St.) from noon-11 p.m. Tickets are $18 in advance, $25 at the door, and children under 12 are admitted free. There will also be food trucks and vendors. We'll keep you posted. For tickets, click here. For more info, go to the Lynchstock website. Plein air, or open-air, painting might be what people did before there were lofts and artists had studios. However, a very particular kind of outdoor painting became a signature of the Impressionists and the Hudson River Valley school. That’s about as much as we know. Fortunately, we’ve got an art historian in town who knows more. Sweet Briar College’s Kathleen Placidi will present a talk on plein air painting, with specific reference to artists whose work just happens to be part of the permanent collection at the Maier Museum of Art (1 Quinlan St.). The lecture is free and runs from 2-3 p.m. It’s part of the 2nd annual Paint Out Lynchburg, a three-day celebration of plein air painting that begins on April 28. For more info on today’s event, call the Maier at (434) 947-8136, or click here. Good works are on the menu at Phase 2 this evening, as more than 30 local restaurants, wineries, and craft brewers team up to raise money for the Salvation Army, DAWN, and Neighbors helping Neighbors of Amherst County. The 26th annual Lynchburg Cooks for Hunger Relief benefit takes over at Phase 2 (4009 Murray Pl.) from 6-9 p.m. The local jazz-funk band Apple Butter Soul will be in the house to provide the grooves, and there will be a silent auction of some kind. Tickets are $30, and can be purchased through the United Way of Central VA. Call (434) 455.6909 for more info. According to the wine enthusiasts we hope edited the Wikipedia page on South African wines, Cape Town got its first vineyard back in 1659. But it wasn’t until relatively recently that South Africa became a bit of a powerhouse in the wine world. Pinotage, a cross of Pinot noir and Cinsaut grapes, is one of the country’s better-known varietals. They’ve got also got good Merlot, Riesling, and, of course, Shiraz, which is just another word for Syrah. If all this wine talk has you hankering for a glass or two, you’re in luck. The Corner at Rivermont (2496 Rivermont Ave.) is hosting a five-course South African Wine Pairing dinner this evening from 6-9 p.m. No word yet on the menu, but reservations are $59 and can be made by clicking here. Call (434) 219-6035 for more info. With April showers come May flowers, or something like that. Of course, those flowers don’t just wait around for May 1st to start blooming. The Garden Club of Virginia has been taking advantage of this widely known horticultural fact since 1929, which makes Garden Week, in their estimation, “America’s Largest Open House,” and the “Oldest Volunteer Tourism Project” in the state. Lynchburg’s celebration of Garden Week takes place today, with walking tours from 10 a.m.-5 p.m. Tickets are $25 in advance, and $30 if you wait til the last minute. View a full tour itinerary here, and click here for tickets. You can also email lynchburg@vagardenweek.org for more info. The Disney/Fox/Time Warner/Comcast experiment in off-brand TV subscription services is called Hulu, and we wouldn’t even be mentioning it if it weren’t for an adaptation of Margaret Atwood’s creepy weird 1985 novel The Handmaid’s Tale that is premiering today, with the first three episodes of what will be a ten-episode season. A dystopian tale of repression and reproduction, Tale stars Elisabeth Moss (a/k/a Zoey Bartlet and Peggy Olson) as the rebellious handmaid Offred, Joseph Fiennes as the Commander, and a bunch of other actors playing characters that weren’t even in the book. Because of the novel’s focus – authoritarianism, religious fanaticism, feminism and a whole bunch of other -isms — it’s been on a lot of reading lists of late. To take a look at a trailer, click here. To get a free, one-month trial of Hulu, click here. Sitting about an hour away from Lynchburg, the Roanoke County town of Vinton is known for two things: actor David Huddleston of Blazing Saddles and Big Lebowski fame, and the Dogwood Festival. For the past sixty-odd years, the Vinton has celebrated the blossoming Cornus Florida (a/k/a) the dogwood tree, with a parade and the crowning of a Dogwood Queen (presumably a person, and not an actual dogwood tree). The event has grown to include a carnival, live music, food, a 5k run, and vendors of all sorts. The festival opens today with a Pay-One-Price-Ride-All-Night event, and a performance by the band Fuzzy Logic at 6:30 p.m. Gate admission is free, and the festival runs until April 30, with a Dogwood Distance Run, bluegrass and jazz bands, and a parade on Saturday; and a farmers market on Sunday. It’s held in downtown Vinton (100 Highland Ave.), and you can find directions and a full schedule of events by clicking here. Call (540) 983-0614 for more info. The Disney/Fox/Time Warner/Comcast experiment in off-brand TV subscription services is called Hulu, and we wouldn’t even be mentioning it if it weren’t for an adaptation of Margaret Atwood’s creepy weird 1985 novel The Handmaid’s Tale that is premiering today, with the first three episodes of what will be a ten-episode season. A dystopian story of repression and reproduction, Tale stars Elisabeth Moss (a/k/a Zoey Bartlet and Peggy Olson) as the rebellious handmaid Offred, Joseph Fiennes as the Commander, and a bunch of other actors playing characters that weren’t even in the book. Because of the novel’s focus – authoritarianism, religious fanaticism, feminism and a whole bunch of other -isms — it’s been on a lot of reading lists of late. To take a look at a trailer, click here. To get a free, one-month trial of Hulu, click here. You might not be aware of this, but there’s a independent clothier right here in good old Lynchburg and, in addition to making t-shirts, hoodies, and hats, they’ve got a screen printing business. The company is Benaiah Clothing Co., and they’re teaming up with the folks at Vector Space (402 Fifthth St.) today tooffer a class in screen printing. The class runs from 6:30-8:30 p.m., and costs $30, which includes a t-shirt and all the printing materials you’ll need. Register by clicking here, or call (804) 387-1519. In July of 2010, Jake Williams and Maddie Weigelt uploaded the first episode of The Jake and Maddie Show, a quirky, homespun, low-budget comedy show that launched their careers as bona-fide YouTube celebs of a sort. They’ve branched out to include YouTube comedy shorts like the satirical “The Kidsney Channel,” and a bunch of other funny stuff that you can find on their Jake and Maddie YouTube channel. Tonight they’ll be in town to perform live at the first ever comedy show hosted by Speakertree (522 5th St.). The record shop will also be open, so you can search around for some classic, pre-YouTube comedy vinyl if you’re so inclined. The performance starts at 7:30 p.m., and there’s a cover charge of $3; call 434) 485-8262, or click here. Food and paint don’t always mix well — sorta like oil-base semi gloss and water. But today’s an exception. The folks at James T. Davis (3416 Candlers Mountain Rd.) are opening their lot and their front lawn to a round-up of local food trucks from 11 a.m.-2 p.m. We don’t have the final word yet on who’s gonna be serving up lunch on the lawn just yet, but we’re pretty Mama Crockett’s Donuts will be there because we’re hearing rumors of apple cider slushies to go along with their wonderful bags of apple cider donuts. Call (434) 846-2721 for more infor, or click here. The tasting rom and beer garden area at Apocalypse Ale Works (1257 Burnbridge Rd.) will be suffused with the sweet scents of smoky barbecue today from noon-5 p.m., thanks to the arrival of the 3rd annual BBQ & Brews Fire Fest. At least a dozen teams will compete to see who can dish out the best barbecue and, in addition to Apocalypse’s fine ales, beer from another ten-plus craft brewers will be available for tasting. There will be music by Apple Butter Soul, and Jenny & the B-Side Rockers, crafts and wares from local artisans, and a car show sponsored by Robertson Auto. If you’re a barbecue team that would like to compete, or just a barbecue and brews fan who would like to purchase a $25 wristband for the event, click here. Proceeds benefit the Lynchburg Relay For Life & Forest Volunteer Fire Department. Call the folks at Apocalypse for more info at (434) 258-8761. We have a soft spot for cartoon quadrupeds who specialize in rescue missions and other heroic feats. So, we’re quite happy to see the cast of Nickelodeon’s Paw Patrol coming to life in “Race to the Rescue.” Ryder, Chase, Marshall, Rocky, Rubble, Zuma, Skye, and even Everest will be in the house at Roanoke’s Berglund Center (710 Williamson Rd. NE), searching for Mayor Goodway, who is rumored to have gone missing on the day of the Great Adventure Bay Race. It’s billed as an action-packed, musical adventure for the whole family, we’re into that sort of thing too. There are four performances, April 29 and 30 at 10 a.m. and 2 p.m. Tickets go for $18, $27, $37, $52, and $102 (that’s the VIP package). Call (877) 482-8496, or click here. Billy Bob Thornton is certainly best known for his edgy roles in films like Sling Blade (1996), A Simple Plan (1998), and Monster’s Ball (2001); his more mainstream appearances in movies like Armageddon (1998), and Friday Night Lights (2004); and his command performances as the titular character in Bad Santa (2003) and, of course, Bad Santa 2 (2016). But the dude also plays drums and fronts a roots-and-rockabilly band known as the Boxmasters, and he’s bringing the band to Phase 2 for a Saturday night shindig. The show starts at 8 p.m., and tickets are $25 in advance. For more info on Billy Bob, check out the Billybobapalooza website. For tickets, click here, or call (434) 846-3206. According to the Guinness World Record website, the largest tree hug to date consisted of 4,620 people and was achieved by Asianet News Network on March 21, 2017. Lynchburg Parks & Rec is hoping to break that record today at Peaks View Park (170 Ivy Creek Ln. ), and they’re going to need help from a lot of people – roughly 4,621 people by our calculations. To lure folks out for a little tree hugging, they’ve got a full slate of attractions, including food trucks (Jacked Rabbit, Uprooted, Upper Crust, and more); music by Apple Butter Soul and People Like Trees; a Kidzone with laser tag, moonwalks, and more; a Zen zone with yoga and other mindful pursuits; and all kinds of outdoorsy stuff. There will also be an evening screening of The Lorax, and family campgrounds for those who want to stick around. For more info, click here, or call (434) 455-5858. To volunteer, click here. Who doesn’t jump at the opportunity to hop aboard a fire engine? Well, firemen probably don’t think it’s such a big deal. But, for everyone else, it’s kinda cool. There will be planes, trains, and automobiles, as well as the requisite fire engine, on display at the Liberty School of Aeronautics airfield (939 Airport Rd.) today from 11 a.m.-4 p.m. for the Junior League of Lynchburg’s 3rd annual All Aboard extravaganza. Food trucks and vendors will be on hand as well. Tickets are $5 each or 6 tickets for $25 in advanced, and $6 at the gate. Click here, or call (434) 846-6641 for more info. Everybody knows the story of Robin Hood, the lord-turned-thief who robs the rich to give to the poor in the wake of good King Richard’s long absence. Friar Tuck, the Sheriff of Nottingham, Maid Marian, and of course, the horrible Prince John are all familiar faces by now—so let’s turn back the clock. Wayne Theater (521 Main St, Waynesboro, VA 22980) is showing the 1938 classic The Adventures of Robin Hood, starring Errol Flynn in his most beloved role, along with Basil Rathbone and Olivia de Havilland. The film has a whopping 97% on Metacritic and is considered by many to be the best Robin Hood adaptation ever. Screenings are at 2 p.m. and 7 p.m.; tickets are “Pay What You Will” at the door, which opens an hour before showtime. The evening showing also features an introduction to the film by the Classic Cinema Club's Jimmy Overton, intermission, and an optional post-film discussion. Call the Wayne Theater at (540) 943-9999 or click here for more info. So, there’s going to be a Harry Potter Fest in Roanoke on May 13, and you can bet we’re going to keep you posted concerning any developments on that front, like the Hogwarts in Roanoke t-shirts that are now available at the Potter Fest online store. In the meantime, the festival is gearing up for the big event with a Harry Potter film series. The screenings are taking place on Tuesdays at the Roanoke City Market Building (32 Market Square SE). This week, it’s the beginning of the end — literally. The Deathly Hallows Part 1 is the first half of the two-film finale to the Harry Potter series, and some consider it to be the best film in the entire franchise. Vendors will be onsite to provide for all your Harry Potter-themed food and drink needs. Showtime is 7 p.m.; tickets are a measly (or is that Weasley?) $5. Call (540) 597-9382, or click here for more info. Be Sweet is a brand new bakery specializing in gourmet Brazilian desserts. Brazilian cooking has the super cool distinction of fusing a diverse array of cuisines, namely Native American, European, and African. Tropical fruits meet milk and spices and cacao to make something altogether unique, like crème de cocada and Mousse de Maracujá. 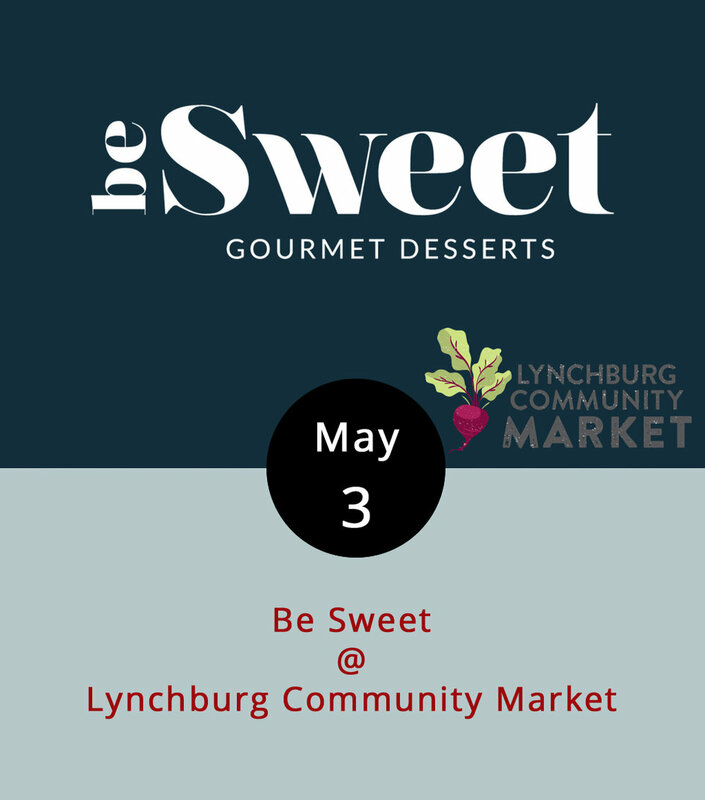 Starting today, Be Sweet becomes yet another reason to stop by the Community Market (1219 Main St.) on a Green Market Wednesday from 10 a.m.-2 p.m. Saturdays from 8 a.m.-2 p.m. are also a good time to stop in, and you can get more details here. You can also call the market at 434-455-4485. There are basically two kinds of films about bikes. There’s your Easy Rider (1969) variety, which spotlights a certain type of bike, a certain type of biker, and a certain Dennis (Hopper). And, there are films like the 1979 classic Breaking Away, which is devoted to the sort of bike that requires pedaling and features another famous Dennis (Quaid). Neither of those films in on the docket this evening at the Academy Center of the Arts (519 Commerce St.), but a bunch of other shorts about biking and even some (animated) bike shorts will be screened. Tickets are $5, which includes two tacos from the Taco Shark food truck. Apocalypse Ale Works will provide libations, and Greater Lynchburg Off-Road Cycling will be offering bike valet services. The evcnt begins at 5:30 p.m., and the films start rolling at 6:30 p.m. Click here for more info, or call the Academy at (434) 846-8499. We were under the perhaps somewhat suspect impression that all theater was in some way physical because, well, there’s usually people moving around up there on stage. However, Aura Curiatlas, a performance troupe based in Williamsburg, bill themselves as a “physical theater” group, which means there are people up there on stage moving around a lot. The brainchild of William & Mary dance professor Joan Gavaler, Aura Curiatlas incorporate acrobatics and dance into a kind of narrative theater that sounds very physical. They’re coming to Riverviews Artspace (901 Jefferson St.) this evening to demonstrate with a piece they call Dream Logic. The performance runs from 7- 9 p.m., and tickets are $12. Call (434) 847-7277, or click here for more info. Did you ever make flipbooks as a kid? You know, little comics drawn on sticky note pads that became primitive animations when you flipped through them? Local maker-space Vector Space (402 5th St.) has made something a little more high-tech. Over spring break, Vector Space and Riverviews Artspace held a STEAM (Science, Technology, Engineering, Art, and Math) workshop for students to build two giant flipbook machines, which function in largely the same way as those books of sticky notes, but with a lot more panache. For this First Friday, from 5-8 p.m., Vector Space will reveal contents of both flipbooks, which are powered by bikes and, intriguingly, recliners. Click here for more info, or call (434) 515-1584. If one horn’s is singular, two is plural, and three’s a crowd, well, then four horns is what we like to call an honest to goodness horn section. A horn section is just one of the standout features that Apple Butter Soul have to their credit. The band apply what you might call jazz chops to the art of the funk, and mix a little hip-hop in along the way to the groove. Friday is usually DJ night at Dish (1120 Main St.), but tonight they’ve got a full on live music party happening with frontman Ty Scott and Apple Butter Soul leading the way. The gig gets underway at 10 p.m., and it’ll go until closing time. There will be a cover at the door – probable $5. Call (434) 528-0070 for more info, or click here. Happy Cinco de Mayo! For those of you who mainly associate that designation with an excuse to pop a couple of Dos Equis (“stay thirsty, my friend”), here’s a little background: Back when the US was embroiled in the Civil War, Mexico had a little thing going with the French. It culminated victoriously for the Mexican army on May 5, 1862, when the French forces suffered defeat at the Battle of Puebla. Cinco de Maya is not Mexican Independence Day – that’s September 16th. But, it can be a good time, so long as you drink responsibly and remember that the most interesting man in the world is the guy who gets home safely. They’ll be celebrating downtown at El Jefe (1214 Commerce St.) with the usual tacos, tequila, and beer, as well as pop-up bar down on the Bluff Walk. At Bootleggers (50 13th St.), you can grab at Quesadilla Burger topped with sour cream, salsa, pico de gallo, shredded lettuce, and pepper jack cheese. And, we’ve got more complete lists of what’s going on in and around town on our LynchburgDoes More page right here. David Haught can now officially call himself a Brooklyn-based alt-country singer-songwriter, owing to the fact that just a few months ago he did in fact move to Brooklyn. Before that he as based right here in Lynchburg, where he was once of the best at his craft. Tonight, he’s back. And, he’s teaming up with a guy who’s sorta taken his place as the countrified singer-strummer about town, Zach Burnette. It all gets underway at 10 p.m., at one of Haught’s favorite haunts — Kegney Brothers (1118 Main St.). There may or may not be a cover at the door. Check out Haught’s music here, and call (434) 616-6691 for more info. If you miss Haught tonight, or if you just want a little more, you can catch him tomorrow from 6-9 p.m. at Market on Main (904 Main St.). There’s plain yoga, hot yoga, and presumably room temperature yoga. Now there’s also “glowga,” an invention of sorts that improves upon the time-tested discipline by adding glowsticks and blacklights. 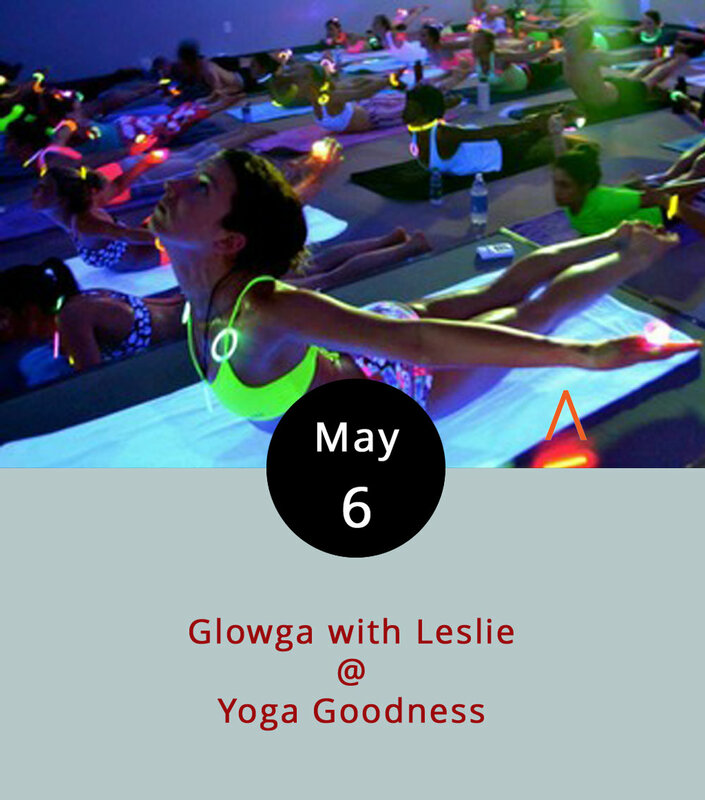 Yoga Goodness Studio teacher Leslie will introduce vinyasa-style glowga at an all-level class that we’re told will include glowstick jewelry and ambient music. Yoga Goodness is located in the Rivervies Artspace building (901 Jefferson St.); click here, or call (917) 855-0562, for more info. 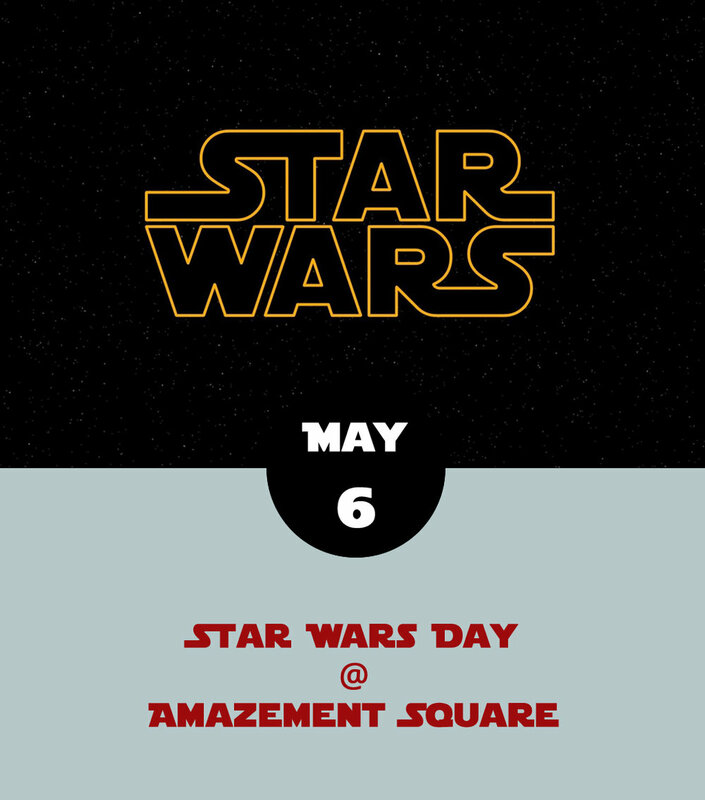 Calling all Padawans and aspiring Jedi knights: Amazement Square (27 Ninth St.) is gearing up for a full day of Star Wars-inspired crafts, games, and challenges. Costumes are, of course, encourages, although you may have to check your light saber at the door. The event begins at 10 a.m. and runs until 1 p.m. Admission is $5 in addition to either museum membership or the usual cost of admission, which adds up to $14 for kids and $9 for adults, minus $9 for members. Click here for tickets and more info, or call (434) 845-1888. Calling all pixies, nixies, and members of the Fair Folk: there will be a not-so-secret fairy gathering at Kathleen O’Byrne’s Irish Tea Room. The Tea Room at Boonsboro Shopping Center (4925 Boonsboro Rd.) will serve as event headquarters, offering tea with real live fairies all day for just $10, with events scheduled all around the shopping area. At 11 a.m., Hair Designs of Boonsboro will be snipping and styling fairy hairdos for $7 each; from 11:30 a.m.-3:30 p.m. there will be a silent auction featuring objects of arcane origins (or maybe just regular ones), the proceeds of which benefit Amazement Square. Throughout the day, there will be a hunt for fairy doors, and later on in the afternoon, there will also be a contest to judge the best fairy doors, houses, and gardens. The grand finale of the day will be a fairy parade at 3 p.m., led by the one and only Tinkerbell. Coincidentally, fairy food trucks will arrive on the scene at the same time, for anyone in need of a pick-me-up. The festival runs 11 a.m.-4 p.m., rain or shine. Call (434) 473-5983 for more information, or click here. The start of the week is always a drag. Especially if you are a student. The joys of the weekend are over and all you have to look forward to is . . . well, not much. Rise Up Climbing (1225 Church St.) is doing its part to help the young and restless make Monday night feel almost like part of the weekend. According to their Facebook page, Monday nights are now Student Special Nights, meaning that a day rock-climbing pass is $10, equipment fees are $3, and, if you need one, belay instruction is only $7. Those age 18 and under are considered students, and anyone over 18 with a valid school ID qualifies as well. Student Night runs from 5-10 p.m. Don’t worry: your school work can wait ‘til Tuesday. Vic Sizemore, local professor at Randolph College and CVCC and winner of the New Millennium Writings Award, will be leading a joint poetry-prose workshop with the Poetry Group at the Academy Center of the Arts (519 Commerce Street) this evening from 7-9 p.m. In preparation for the event, Sizemore’s asking participants to consider the intersections of fiction and poetry, and in what ways they matter, if at all. After a writing exercise, there will be an open mic, where folks can try out material, both new and old, in front of fellow writers who have been pondering the intersections of fiction and poetry. For more information, click here, or call the Academy at (434) 846-8499. Hard to say whether it’s the opportunity to triumph at trivia that brings the peeps out to Apocalypse Ale Works (1257 Burnbridge Rd.) on Wednesday evenings or the finely crafted ales. We’re thinking it’s probably the latter, but trivia is as good an excuse as any to stop by Apocalypse, especially now that the weather’s reliably pleasant, and they’ve got a pretty nice deck and backyard out there in Forest. Last Call Trivia starts at 8 p.m., and runs, well, presumably until closing time at 9 p.m. If you’re lucky, the bar may still be tapping into last week’s Temptation Thursday special brew, the Grapefruit Hoppocalypse, or offering samples of tomorrow’s featured libation, which goes by the name of Agave Hell’s Frozen. Call (434) 258-8761 for more info, or click here. It’s shaping up to be a marathon evening for the Lynchburg’s own minor league boys of summer. The Hillcats, who are part of the Cleveland Indians farm system (and the Indians are on top of the AL Central), go up against the Carolina Mudcats, who are affiliated with the Milwaukee Brewers (bottom of the AL Central). That’s right, it's a cat-on-cat battle, and it’s going to play out over the course of two seven-inning games. The double-header action begins at 5:30 p.m., and it also happens to be Game Show Night at Lynchburg City Stadium (3176 Fort Ave.), so there will be lots of between-inning action, and one lucky fan will win a two-night trip to DC. Tickets are $9, and a ticket to tonight’s game gets you a free ticket to the next Wednesday's game. Click here for tickets, or call (434) 528-1144. Just a month or two ago, One Way Out (2264 Lakeside Dr., Suite A) opened a new, archeology-themed schemed escape room called “Search for the Lost Professor.” Think Indiana Jones without all the travel expenses. That’s to go along with “Escape Detention” (The Breakfast Club meets the teacher from hell); “Trapped in the ’80s” (The Breakfast Club meets Back to the Future); and “The Shuttered Room” (American Horror Story, season one?). Not sure what an escape room is? Think of it as a real-life video game, a group puzzle-solving exercise, a good way to kill an hour or so, or as the FAQ section on One Way Out’s website puts it, a “physical adventure game in which people are ‘locked’ in a room with other participants,” which sounds a little like Sartre’s No Exit. Today, One Way Out celebrates its one-year anniversary from 4-6 p.m. with a brain-teasing celebration that will surely involve some puzzle solving, some prize giving, and the pleasant buzz of mystery. One Way Out is open Wednesdays from noon-8 p.m.; Thursdays 4-10:30 p.m.; Saturday 11:30 a.m.-10:30 p.m.; and Sundays 1-7:30 p.m. You can book an adventure here, or call (434) 329-7329. Most of what goes on at Favored Flavors (912 Main St.) has to do with intensifying the gastronomical experience through the use of infused olive oils and vinegars, and a dizzying array of cool salts, sugars, and other seasonings. But, today they’re focusing on something slightly less edible – essential oils. Darlene Shanks of Natural Necessities will be on hand for a workshop from 7-9 p.m. She’ll demonstrate the art and the craft of creating a diffusing locket, which is essentially a delivery device for essential oils. She’ll use one of her signature blends, Happiness, which includes clove, lime, cinnamon, ylang ylang, and jasmine, and then set participants off on their own creative adventure. Tickets are $45, and reservations are required. Call (434) 238-0801, or click here. The Anne Spencer House & Garden Museum (1313 Pierce St.) is an historical landmark and the former home of poet and civil rights activist Anne Spencer (1882-1975). The Listening is a little harder to explain. It’s a group started in 2012 around the idea that spontaneous performance, spoken word, and the art of, well, listening were all worth promoting and cultivating. They put on events that bring to mind The Moth Radio Hour, but you can read more about their mission here. Better yet, you could join the Listening this evening from 7-9 p.m. at the Anne Spencer House for a fundraising open mic centered around connectivity and connectedness. The Cheesy Rider food truck will be on site. Admission is $5; call (434) 845-1313 for more info, or click here. We’ve been diligently working on getting our hands on the menu for the big Mother's Day wine dinner at Magnolia Foods (2476 Rivermont Ave.), which will start with sparkling wine toast, and continue with four, wine-paired courses, including desert. We like to think that it’ll be a meal fit for a mom. Here's what we know so far: inside sources tell us there will be a shredded brussels sprout salad to open, a shrimp dish next, beef tenderloin for the third course, and a lemon tart for dessert. Reservations are $60 per person, and seatings start at 7 p.m. You can get more details here; or call (434) 528-5442. As the canon of superhero movies and Marvel Universe shows continues to grow at an epic rate, so has the audience for fist-fighting, caped-crusading adventures. It is probably worth keeping in mind that this did all start on the pages of actual comic books, the best of which have come to resemble actual books of mythology and lore. That makes a library, specifically the Lynchburg Public Library (2315 Memorial Ave.), a perfect place to hold a little Comic Con convention for comic-book enthusiasts and aspiring heroes. The LPL Comic Con takes over the library today from 1-4 p.m. There will be a costume parade, face painting, superheroes to meet and greet, contests, gaming sessions, and more. Oh, yes, and comic books, of course. For more information, call (434) 455-6300, search the hash tag #lplcomiccon2017, or click here. Okay, so we’re going to dispense with the Hogwarts references, the Muggle asides, and any mention of a certain Lord Voldemort because the day has finally arrived. Downtown Roanoke will be transformed today from 11 a.m.-5 p.m. into something just a little bit magical and mysterious as the Harry Potter Festival takes over large portions of the city. There are too many events to include here, so we recommend visiting the Potter Fest website for a complete list of events, places to park, and other useful info. What we can tell you is that there will be films, music, performances, classes, demonstrations, and maybe even a little sorcery. There’s also an after-hours Quidditch Party scheduled for 7-11 p.m. at Center in the Square (1 Market Square SE), so you may want to bring a broom. For tickets to the ticketed events, click here. For more info, call (540) 597-9382. The time has arrived for the 2017 Lynchburg Music Festival. It is, indeed, a big concert featuring some of the best live music that Lynchburg has to offer. This year’s bill includes Dragonfly, Here's to the Night, Tyler Hammond, and a band that has one of our new favorite names — Kanye Twitty. We're going to assume they play both kinds of music: country and hip-hop. The concert is held at Lynchburg City Stadium (3176 Fort Ave.), but not on the baseball diamond, or so we're told. Artisans, crafters, and food vendors will also be on hand for the shindig, which runs from 1-9 p.m. Tickets are $20 in advance, $25 at the gate, and kids under 12 get in for free. Click here for tickets and more info. We have to hand it to the folks at Kathleen O’Byrne’s Irish Tearoom (4925 Boonsboro Rd.). Seems like they’ve got a special event of some kind happening at their location in the Boonsboro Shopping Center just about every other weekend. Today, of course, is Mother’s Day. 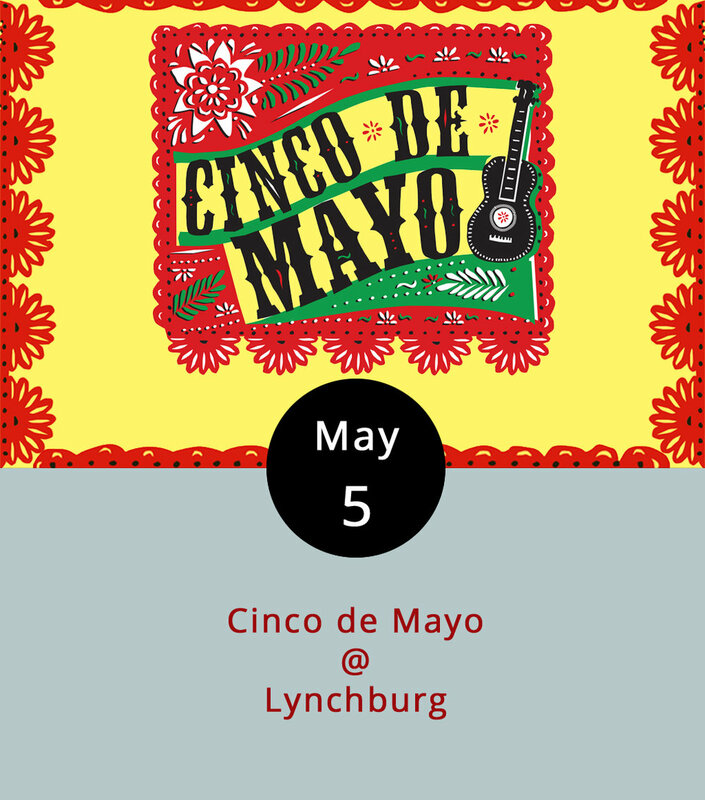 We’ve got a few events listed on our LynchburgDoes More page. And we’ve got this: a three-course tea service and lunch replete with Celtic music, scones with jam and cream, a spinach salad with champagne dressing, pesto chicken tartlets, and lemon cupcakes with strawberry icing. It’s all on the menu from 11 a.m.-4 p.m. at Kathleen O’Byrne’s, as is the Tearoom’s violet lemonade. Reservations are recommended. It’s $19.95 per person; call (434) 473-5983 or click here for more info. Forget about brunching and lunching and just kicking back on Mother’s Day. Or, have brunch, lunch, or whatever, and then consider heading out the evening to a kicked-up Mother’s Day cabaret at GR8 PL8 Café & Lounge (1415 Kemper St.). Think of it as an upbeat and energetic take on Mother's Day, featuring soul food, drinks, and dancing. The food will be the southern style, the music by DJ Dobie will be danceable, and you can find the GR8 PL8 in the Kemper Street Flea Market space. The cover charge is $5; click here or call (434) 851-9980 for more info. The party runs from 8 p.m.-midnight. The cover charge is $5; click here or call (434) 851-9980 for more info. If there’s something going on in Lynchburg on Monday nights, please let us know. Just post it on the LynchburgDoes Facebook page. In the meantime, thanks to Rivermont Pizza (2496 Rivermont Ave.) we always have Monday Night Trivia to fall back on. The hosts rotate each week, so you never know if questions will be about the NBA playoffs, the latest Disney flick, or something you should have learned in 9th-grade history. The gaming starts at 9 p.m., but it’s not a bad idea to get there early to find a table and a team. Call (434) 846-2877, or click here to see the RP menu. The good folks of Champion Brewing Company are showing off their beer and showing their faces at Bootleggers’s (50 13th St.) this evening from 5-9 p.m. Champion is a Charlottesville microbrewery that’s been around since 2012 with a very cool mission: “To create and share beers that move us in the same way our favorite records do.” Cheers to that. Three of their beers will be on tap at Bootleggers: a Shower Beer (a clean and simple pilsner made from Czech hops), Malibu Nights (a pink IPA with grapefruit and hibiscus), and a mystery beer that has yet to be determined. We’re thinking it could be their Fruitbasket IPA, a fruity and herbal, mosaic-hopped concoction. Of, course, Bootleggers is home to some fairly formidably burgers, milkshakes, and a deep-fried Oreo cookie desert. So you might want to grab dinner. The menu is here; call (434) 333-4273 for more info. Riverviews Artspace’s Digital Humanities Project turns its gaze to non-binary musician Rae Spoon, who is the subject of the documentary My Prairie Home. Variety describes the film as “highly affecting” and possessing great “lyrical appeal,” but it’s the non-binary part that sets Spoon apart. Spoon’s from Calgary (yep, the one in Canada), and has been playing an eclectic blend of indie-folk and country since the early 2000s. Spoon has a book of LGBT-themed short stories First Spring Grass Fire to go along with the film, which has been making the rounds of art-house cinemas since 2013. Randolph College Communication Studies Department professor Jennifer Gauthier will provide a brief intro to the screening, which gets underway at 7 p.m. at Riverviews Artspace (901 Jefferson St.). Call (434) 847-7277 for more info, or click here. It’s yet another film night at Riverviews Artspace (901 Jefferson St.). Here are some basic plot points: A lone little girl is found wandering the New Mexico desert; she falls into a catatonic state; when she is revived, all she can say is “Them!” And that’s just the opening sequence of the 1954 creepy thriller Them!. It’s May’s entry in the Ken Faraoni Film Noir Series at Riverviews, and it happens to hold the distinction of being the first “big bug” picture to hit the silver screen back in the fifties. It stars a young James Whitmore, James Arness, Edmund Glenn, and Joan Weldon as lawmen and scientists battling a horde of enormous ants — i.e., “Them!” The 7:30 p.m. screening will be preceded by a brief and humorous overview of the film by local bronze artist and film buff Ken Faraoni. Tickets are $6; call (434) 847-7277 or click here.